We primarily use UPS for shipping our trees and ship using UPS ground rate. Also, we normally ship only early in the week to avoid having the packed up trees sitting in a warehouse over the weekend. We try to keep our shipping prices as low as possible, but because we are shipping plants that have soil (and are NOT bare-rooted) our containers can weight a bit more. To the benefit of the trees and plants during shipment, we also ensure that the plant soil is moist during the packing stage. Of course this adds to the overall weight of the package(s). However, this level of usually doesn't affect the shipping rate that much. We typically ship boxes that overall weight is less than 30 pounds. Cost of shipping is also based upon the size of the package being shipped. For our smaller plants and trees, shipping rates start at $20. However the rate generally increases based upon the overall distance between the nursery (from South Eastern Arizona or Central Texas) shipping the trees and their destination. Larger trees are grown in tall 2 gallons, tall 4 gallons, 5 gallon pots and 5 gallon grow bags; we'll let you know the rate based upon get the shipping estimate based upon zip codes between you and us, the package approximate weight and shipping box dimensions. We add a minimum of $10 handling fee shipping orders. We try to keep our costs as low as possible to benefit our customers, but this fee will vary based upon how many trees and the size of those trees we are packing for shipment. Can you ship your plants at any time during the year? Yes, we can. We make shipments throughout the year. Many of our shipments occur during the cooler months because customers are ordering right before they are ready to plant the trees. How long does it typically take for a tree shipment? One of our shipments to North Carolina took 1 week UPS ground and the plants arrived safely. Shipping from Central Texas to a customer in Houston took 2 days UPS ground. Shipping from Southeastern Arizona to far West Texas took 3 days UPS ground. Shipment from Sierra Vista, AZ to a smaller town outside of Denver, Colorado took 4 days UPS ground. These are just examples we have seen in the past. Typically the shipping carrier will let us know the exact date when to expect delivery of the trees to the customer. For shipments of multiple trees, we will check different shipping options to get the best possible price for our customers. We'll do our best to get our plants to you in a reasonable time period. 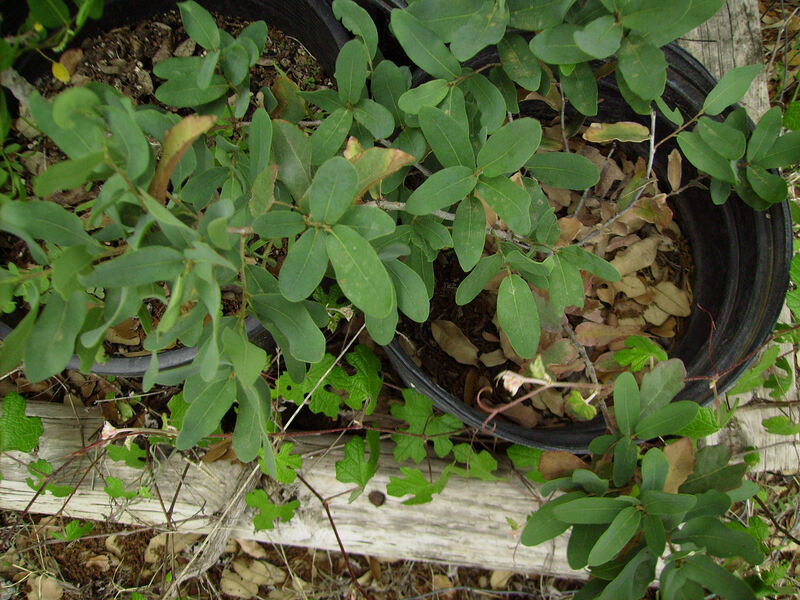 If you are local to Sierra Vista area or Central Texas (Dripping Springs) remember that coming by the nursery is an option to pick up your trees and plants directly. Central Texas is off of HWY 290, 8 miles east of Dripping Springs.